It’s just best to use GMT, in my opinion, to designate all times in Forex. Well, you can use Midnight Ouagadougou Time for your end-of-day, if you insist. But, I’ll continue to use Midnight at Castle Dracula in Transylvania as my end-of-day. Transylvania has the good sense to stay in sync with all of Europe and the UK, every day of the year. And except for two weeks in the spring, and one week in the fall, Transylvania is in sync with North America year-round, as well. For the geographically challenged, Transylvania is in eastern Europe in the GMT+2 time-zone, and Midnight at Castle Dracula just happens to coincide with 5 pm New York time. Actual screenshot of what I actually use !!! You almost gave a good occasion to “get you” by asking: which Dracula Castle do you mean? As it became a good tourist attracation, more castle`s try to clame they are the real Dracula Castle. I like how you shaked up a bit the already interesting time zone discussion. 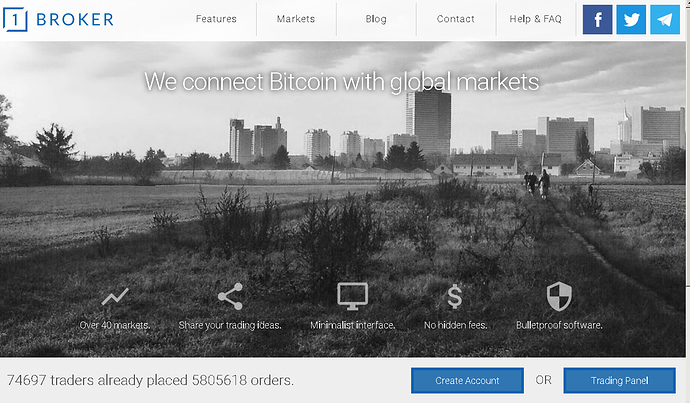 The FBI/SEC/CFTC all seized the domain for 1broker and sued it for security and future violation and wire fraud. They’re out to send a message to crypto, and 1broker offered forex on there. 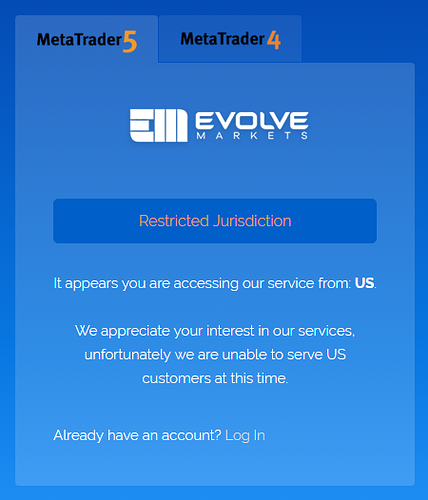 Then later evolvemarkets instituted a georestriction for us customers, so did whalepool, and simplefx. IT’s getting EXTREMELY hard for us to use leverage on crypto or to do options. I’m looking into the loopholes for foreign entity corporation etc, and secondary residency. I know its cost prohibitive, but I’m willing to do it. Do you know if Frank Dodd applies to citizenship or residency or both. Would residency be enough? Then later evolvemarkets instituted a georestriction for us customers, so did whalepool, and simplefx. I’m just posting this for our information. ESMA's New Restrictions on Retail Forex: What it means for you. ESMA's new restrictions on Retail Forex and prohibition of Binary Options sent shockwaves through the industry and to traders/investors. What does it mean for you? DOMAN SEIZURE PROCESS, NOT MAKING ANY COMMENT. What really happens when the FBI seizes a domain? The CFTC wording in the 1broker case is troubling. Federal judges have ruled that cryptocurrencies are commodities. Is the CFTC setting a precedent with this case? regarding public “solicitation” of U.S. persons…? edit your “hosts” file. First of all, it has no "file extension"
recommendation: get Notepad++ from this site. Windows Explorer to the specific location of your "hosts"
I think… but spaces may also work. im afraid every broker on our list will be target sooner or later.
" 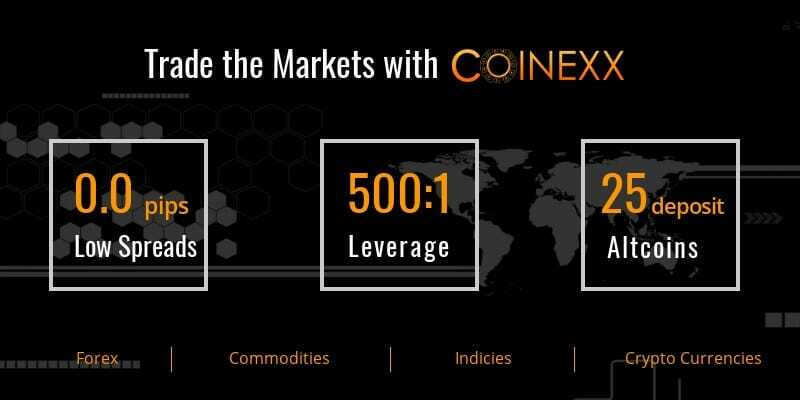 The website www.coinexx.com is operated by Coinexx Inc with registered address at First Floor, First St Vincent Bank Ltd Building, James Street, Kingstown, St. Vincent and the Grenadines. Risk Warning: Trading leveraged products such as Forex and CFDs may not be suitable for all investors as they carry a high degree of risk to your investment. Before deciding to trade any such leveraged products you should carefully consider your investment objectives, level of experience, and risk appetite, and if necessary seek independent advice to full understand the risk involved Risk Disclosure." Maybe it is time for some of us to pool resources and create an offshore company together. Cryptocurrency lets us transfer funds. If we were all on the board of directors of an offshore entity, would it be legal for offshore brokers to open accounts with the entity? Or would we still need to be protected from accessing and using our own money? I don’t have the legal skills to navigate these waters. I am a techie. But, at some point this might make sense to do. 1broker had a disclaimer and it didn’t help them.